Winning in coffee business is not the ultimate mission for Luckin, winning more customers and turning data into money is the mission, instead. A Luckin Coffee shop. PHOTO: Credit to Luckin Coffee. 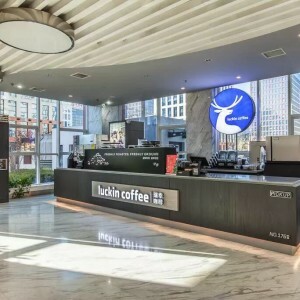 Jan 13, 2019/EqualOcean/- Investment bank has begun preparing listing materials for Luckin Coffee regarding an initial public offering (IPO) on The Stock Exchange of Hong Kong Limited ("SEHK"), EqualOcean was told by people familiar with this matter on Sunday. Founded in October 2017, starting trial operation in Jan 2018, Luckin has ambitions to challenge Starbucks in China, whose comparable store sales in China up 1% in Q4 FY 2018 (see this article). The company raised two rounds funding of USD 400 million, gaining a valuation of USD 2.2 billion after raising USD 200 million in the latest series B funding round on Dec 12, 2018. The company chases after scale and speed, and emphasises on delivery and tech-centric users values. Luckin has opened 2,073 stores in China, covering all the core business districts, and aims to open 2,500 shops in 2019, adding up to 4,500 in total. CNY 1 billion (USD 158 million) has been burned into subsidies and to educate the customers as of July 2018(see more in this article). The Seattle-based behemoth coffee chain Starbucks has opened 585 new stores in China in the past 2018 fiscal year, adding up to over 3,600 stores in the country. Luckin recorded a loss of CNY 857 million (USD 128.55 million) for the first three-quarters last year. Disclosed numbers of Luckin also showed that average price per cup was CNY 10.21 (USD 1.53) and average cost per cup (excludes administrative costs and marketing costs) was CNY 22 (USD 3.3). The company estimated the revenue in 2018 should be CNY 763 million (USD 114.45 million), and its target revenue in 2021 is CNY 18.5 billion (USD 2.78 billion). Luckin claimed that in less than one year, the company has sold more than 85 million cups of coffee to 12 million customers as of Dec 2018. Luckin is backed by two lead investors including Singapore sovereign wealth fund GIC Pte Ltd and China International Capital Corp Ltd. There are two capitals we need to address among Luckin’s pool of investors, Legend Capital (君联资本) and Centurium Capital (大钲资本), who has the deep connection with DiDi Chuxing’s rival UCAR (神州优车, NEEQ:838006). Centurium Capital has invested in Ucar Capital in 2017 and Legend Capital has participated in investment for CAR Inc, UCAR’s parent company, reported by Sohu. As we discussed before, LU Zhengyao (陆正耀), one of the investors of the company’s angel round funding, is the Chairman and CEO of UCAR. QIAN Zhiya (钱治亚) was the former COO of UCAR. Luckin is headquartered in Xiamen, a southern city in China, and UCAR lent an area in its new building for Luckin there. Public relation department of UCAR is in charge of Luckin’s PR. “There is no point talking about profit,” said YANG Fei (杨飞), the company’s chief marketing officer, replying to all the question noise outside. It's true, the coffee selling company aims at something beyond coffee, for instance, traffic pool. Luckin is deeply rooted with UCAR. UCAR currently operates four main product lines: Car Inc, its Hong Kong-listed car rental arm, Shenzhou Zhuanche, chauffeured car services, as well as an online car marketplace and a car loan service. The ride-hailing UCAR has led CNY 2.2 billion (USD 320 million) investment in electric car maker Xpeng Motors. Relying on Xpeng’s EVs and Luckin’s current millions of customers, and also huge imaginary space for the connection of EVs and autonomous driving, we can assume UCAR is building a Mobility-as-a-Service ecosystem to confront DiDi. Legend Capital is a subsidiary of Lenovo (previous name: Legend), which has led numbers of investments and released its original solutions in healthcare and education industry. Luckin’s data, for someday, can be not only used in the coffee selling process like product design, distribution of stores, order prediction, but more on education, mobility, and healthcare scenarios. Going public is not a battle against Starbucks for Luckin, even the company has claimed to overtake Starbucks in China, but more competitors. Winning in coffee business is not the ultimate mission, more customers and turning data into money is the mission, instead. 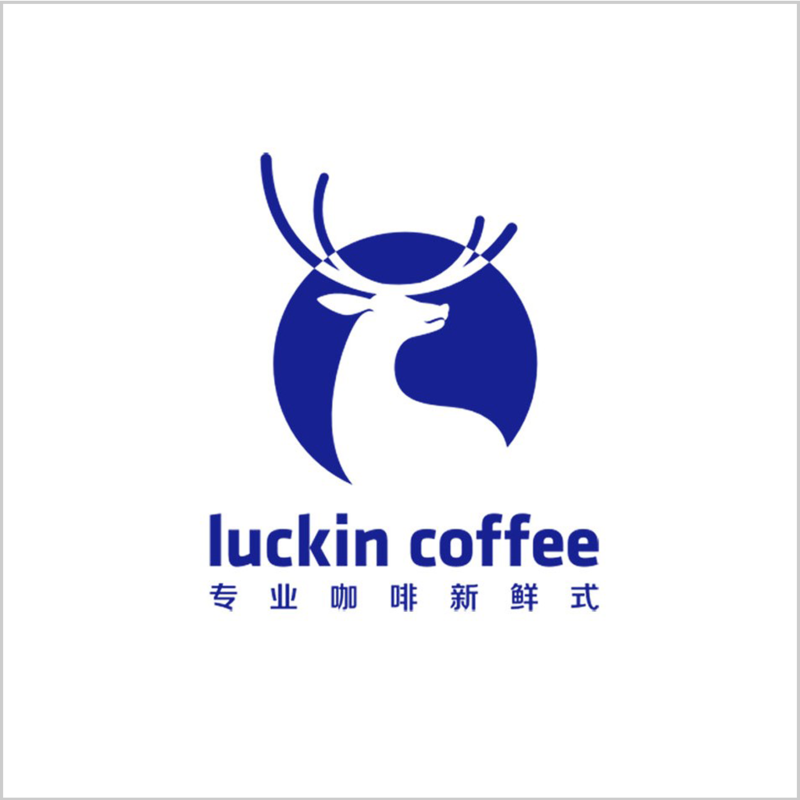 Luckin Coffee is a coffee chain startup originated from China.